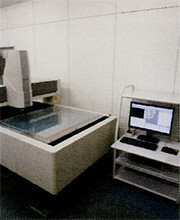 Precise photo etching technology was started as an application of courtesy photograph and photo etching　technique. 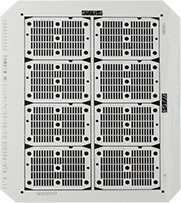 It handles ultra-precise requirements that are impossible by stamping technology. It is suitable　for infinitely thin, extremely small or complex shaped metal parts. 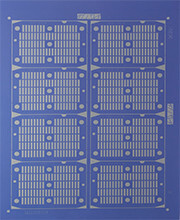 Metal etching makes complex and fine shapes by dissolving with chemical solution. We are able to process from one piece to mass production and provide very small, thin, or complex parts with high processing accuracy. This process makes the material thickness to be half. 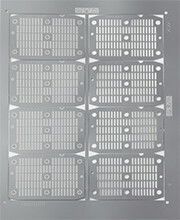 Basically, half etching depth becomes 60% to 70% of material thickness. However, depending on the designs, depth can be changed by our technique. 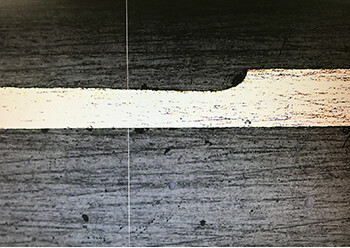 Photo is 40 % depth of material thickness. Drawings or data provided by customers are converted and input to CAD system. Accurate image is laser-plotted onto photosensitive films or photographic glass plates based on the data. 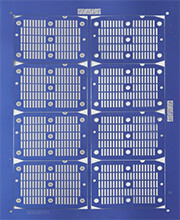 Plotted pattern is strictly checked and passed to UV exposure process. Metals are degreased and cleansed to remove oil and contamination in order to have good adhesion to the photosensitive resist. 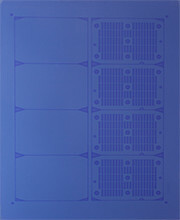 UV light-sensitive resist films are applied to both side of cleansed metal evenly in the clean room.  The metal coated with light-sensitive resist film is sandwiched between artwork photo tool, then is exposed to UV light from top and bottom side in order to transfer the image onto the resist film. We operate this process in the clean room to avoid dust or foreign materials. Resist film on non UV exposed area is chemically removed. 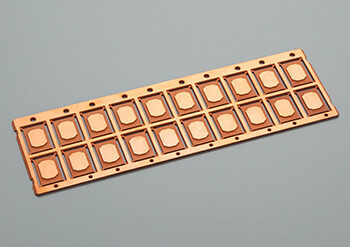 In addition, the resist coated area is heated to improve acid resistance. Automatic etching machines which control etchant and temperature are used in this process. Metal exposed area is etched away, and metal is formed into the requested shape as specified in the drawing. All the resist film left on the metal sheet is removed after etching. Parts are cleansed by pure water and then passed to the inspection process. Photo-etching parts are expected to be highly accurate. We control best quality by dimensional and appearance inspection. ※Max size varies depending on the type of material and its thickness. In addition, since we are consulting for material and thickness, please inquire. As a rule, the diameter of holes or slot width cannot be smaller than the metal thickness. However, this relationship may vary as the metal thickness changes. Above lists are based on our experience, but they may be changed depending on the type of material or the quantity. Please contact us at your designing phase for more information. Corner becomes rounded by photo etching. Generally, outside corner radius(=r) tends to be etched more sharply than inside corner radius(=R). As general, R is considered to be 80% of the material thickness, r is considered to be 50% of the material thickness or less.  Since the undercut at the edges tends to be larger, cross section shapes of the etched material are tapered as in Figure (a), and tolerance is less precise. In this case, A will be approx. 40% of the material thickness(t). Dimensional tolerances vary with a number of factors such as the type of material, the size of panel and productivity rate. Although it is impossible to give a definite and absolute rule to cover all circumstances, a tolerance of +/-15% of material thickness is widely accepted as a general rule of thumb. We can also meet better tolerance for small-lot production, but it may affect the cost. The dimensional tolerance will be determined after discussing with customers. Measuring method: We have various measuring methods and instruments, but main method is measuring by projector.